A huge knight—nearer 8’ feet than 7’—with a black reputation, Ser Gregor is called the Mountain the Rides as he dwarfs other knights. He is the older brother of Sandor Clegane, but when Ser Gregor inherited the family seat from his father, Sandor immediately departed to take up service with the Lannisters. It’s said the two hate one another. He was a new-made knight of 17 at the Sack of King’s Landing, where it’s whispered he smashed the head of the infant Prince Aegon against a wall and then raped and murdered his mother, Princess Elia. The actor cast in the role is 6’9”, but does have the bulk and muscalrity described for the character. 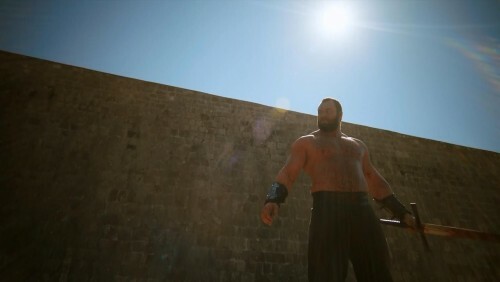 Björnsson replaces the previous actors in the role, Conan Stevens (Season 1) and Ian Whyte (Season 2).